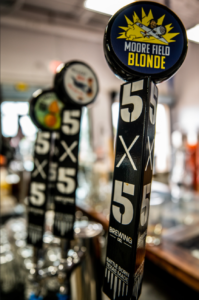 There’s something brewing at the Center for Education and Economic Development — the latest beers from 5×5 Brewing Co. The brewing company occupies part of the northwest portion of the CEED building. Founders Matt Mazur, George Rice, and Downey all grew up in Mission. 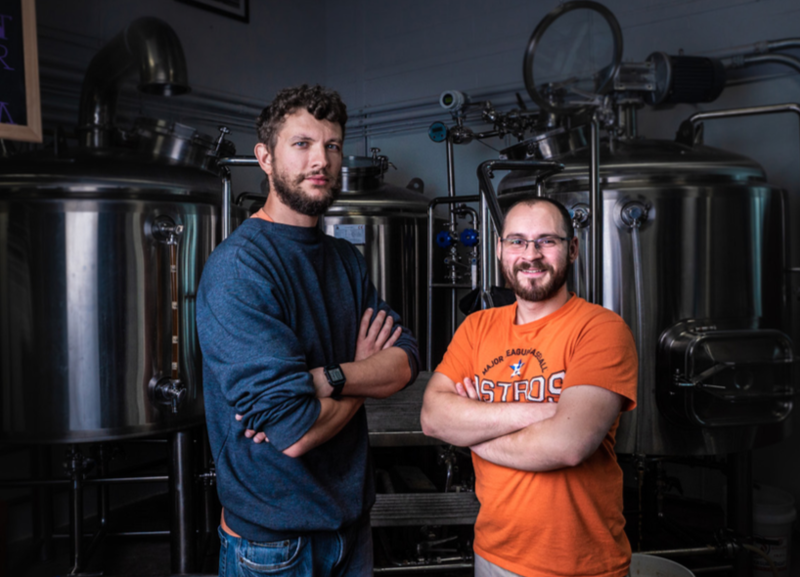 Along with longtime friend Matt Bowling, Mazur and Rice first dreamed of entering the craft beer world with a magazine. When that didn’t happen, they switched gears to a brewery — especially with Bowling’s homebrewing background. The trio brought Downey into the fold for his marketing and business chops. When the group was looking for a place to set up shop, it made sense to give 5×5 its start in the same city that gave them theirs. They decided to speak with Alex Meade and Daniel Silva — the former and current CEOs of the Mission Economic Development Corporation, respectively — about potential properties in the city. 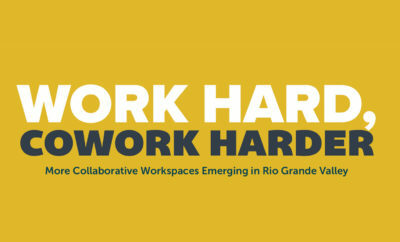 Meade and Silva offered them a spot at the EDC-managed CEED building, a 55,000-square-foot coworking facility created to bolster entrepreneurship in Mission. 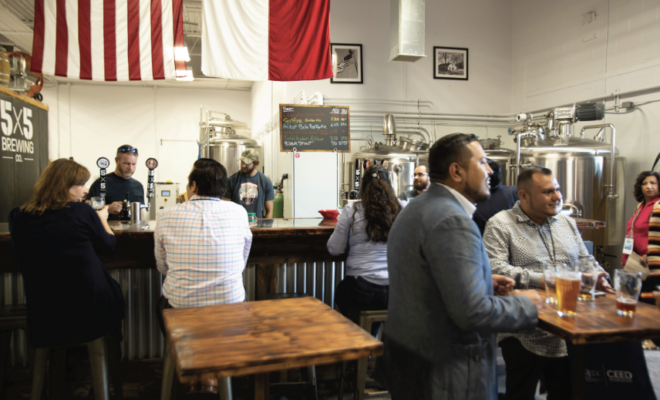 After getting the green light, the group of friends and Mission EDC had to figure out the feasibility of brewing beer in a coworking facility, contending with the operation’s sounds and smells. As it turned out, though, it was feasible. Very. The brewery opened its doors officially in July 2018. Mission EDC has been just as happy to have 5×5 as a business tenant. 5×5 showcases eight beers year round with military-themed names like Hellcat Belle Red Rye Ale, Moore Field Blonde, and FUBARR. Five more brews are currently in the works. 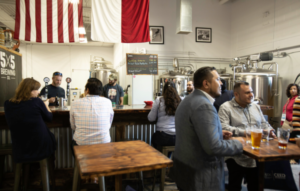 The brewing company’s seasonal beer, ORDNANCE Chocolate Orange Stout, was named the official beer of Mission’s Texas Citrus Fiesta, held in January. For now, the taproom is open from 4 to 10 p.m. Thursdays and Fridays, and 2 to 10 p.m. Saturdays and Sundays. Every other Tuesday, Downey has hosted trivia night at 5×5, and different food trucks and live music are on regular rotation. 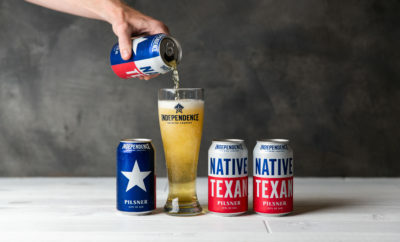 The taproom isn’t the only place to try a taste — 5×5 is distributed at bars and restaurants across the Rio Grande Valley. Many patrons at 5×5 Brewing Co. express curiosity about the facility it’s attached to. Downey’s happily markets CEED membership, which is open to freelancers, entrepreneurs, and small businesses, among others, because of the benefits 5×5 has experienced there. Jitterz now roasts the coffee beans used in 40MM, a chocolate coffee stout. It all goes back to an emphasis on supporting local businesses. “If I can have those Mission companies and give them business, that’s what we’re all for,” Downey said. 5×5 has enjoyed its time at CEED, Downey says, but they may soon outgrow their space. The plan was always for 5×5 to use the CEED building as a springboard, Mission EDC’s Silva says. To read more about 5×5 Brewing Company, visit 5x5brewing.com. To learn more about the Center for Education and Economic Development, including information about becoming a member, go to missionceed.org.